At long last, Frank Millers never-before-seen full Robocop epic finally sees light of day! 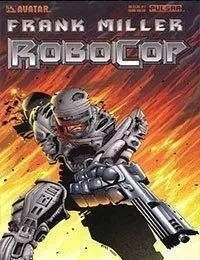 Robocop was one of the truly great bits of movie and pop culture magic from the 80s, and the cult of Robocop continues to grow strong to this day. In full-on action, the Robocop is told as Frank Miller always intended, composed straight from the masters original writings and scripts! The vast majority of Millers insane ideas, vicious black humor, and robotic mayhem never made it to the screen, but every last bit is finally unleashed in this series. With sequential adaptation from Steven Grant and art by superstar Juan Jose Ryp, the series features covers by Frank Miller, who is also personally signing the creation of the entire project.